Bharat Sanchar Nigam Ltd’s Kolkata Telecom district unit Calcutta Telephones has introduced new festive offers for new GSM mobile customers in 2014. The promotional offer comes in a package of free SIM cards for prepaid users and full value or 10% extra usage value on top-up vouchers. First new GSM prepaid customers will get a free prepaid SIM (32K/64K depending upon availability). Free SIM card scheme is valid from 07.02.2014 till 31.03.2014. Customers will also enjoy full usage value equal to MRP on GSM Top-up vouchers/C-top-up/Flexi top-up with MRP from Rs.200 to Rs.999; and 10% extra usage value on MRP on GSM Top-up vouchers/C-top-up/Flexi top-up with MRP from Rs.1000 to Rs.2999. This offer is valid from 24.12.2013 till 23.03.2014. Calcutta Telephones also introduces a new STV – Power/STV Cancellation Voucher for all prepaid Mobile Connections of BSNL. Last Easy/STV will be cancelled by utilizing this STV – 4. The Promotional scheme is valid w.e.f 27/01/2014 up to 26/04/2014. 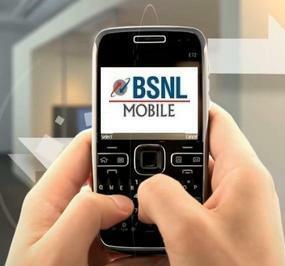 BSNL is also going to launch a new roaming plan w.e.f 10.02.2014. STV is priced Rs 92, which will provide free incoming calls, outgoing calls at 1.5p/second for 90 days.